For the last 40 years Camilo José Vergara has chronicled life in American urban communities in crisis. Born in 1944 in Santiago, Chile, Vergara experienced the challenges of poverty as a child and carried the experience with him when he moved to the United States at the age of 21. After earning his B.A. in Sociology from the University of Notre Dame, Vergara moved to New York City and earned an MA in Sociology in 1977. While in New York he began photographing urban life, inspired by the work of Helen Levitt. Rather than retrace the work he admired, Vergara trained his lens on the “built environment,” the buildings, monuments and streets that make up the setting of a neighborhood. He has said “photographs of the built environment constitute the essential element of an urban history told from the ground up.” To this end, Vergara adopted the technique of rephotograpy, returning to the same geographical location and photographing it over a span of years. When these photos are arranged chronologically they provide a powerful narrative of change in a place over time. Vergara has initiated rephotography projects in cities including New York, New York; Camden and Newark, New Jersey; Chicago, Illinois; Detroit, Michigan; Gary, Indiana; and Los Angeles, California. Vergara’s work has been displayed at the Cooper-Hewitt, National Design Museum, National Building Museum and Municipal Arts Society. 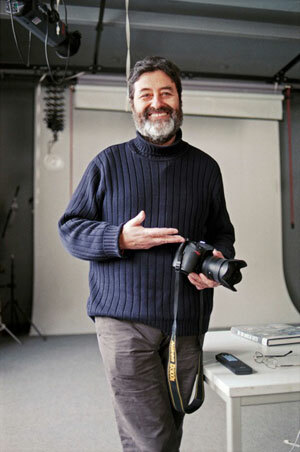 Publications include The New American Ghetto and How the Other Half Worships, Camilo Vergara is also a recipient of a MacArthur Foundation “genius award.” His latest project, the web-based database Invincible Cities (http://invinciblecities.camden.rutgers.edu/), is designed to give the public free access to his archive of images. Click here to read a more complete Biography of Vergara.